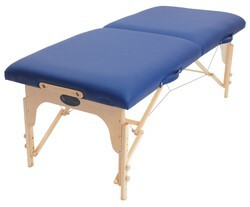 Back Be Nimble proudly offers portable, professional massage table packages from Custom Craftworks. 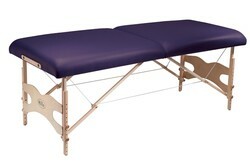 Please note that the Omni massage table used to be called the Selene Table. 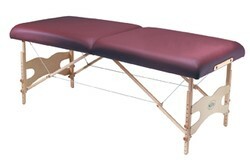 The Featherlock massage table has been replaced by the economical Moorii (great for students and new massage practitioners). The Freedom Massage Chair is no longer offered. The prices below are all inclusive pro-packages with all your needs considered. Other options and accessories may be added during your purchase. Implementation Copyright © 2019 by hav.Software - All Rights Reserved. RSS - Let's Talk Back Pain Solutions.